“The world is so full of a number of things I think we should all be as happy as kings” so said Robert Louis Stevenson. I do agree, don’t you? But we have to find those things that interest us if we’re to feel happy as kings. Doing just anything won’t do it for us. We must find our passions. The bible says “seek and you shall find” and most of us do find plenty of things we truly like to do. Some of us find so many in fact that there’s hardly enough time in the day to attend to all of them. We can get ourselves so busy, too busy, that one might ask the question are we human beings or human doings? Are you a reader, a gardener, a cook? Do you like to play games, paint, fish, hike, bike or watch movies? Maybe you’re a world traveler. Perhaps you’re an artist or a musician. You might like to build things, fix things or discover things by studying science, history or geography. Some people might find sailing, surfing or skiing their cup of tea. Me? My cup of tea is writing letters and enjoying art play so I often create my own unique stationery, stationery like this card above. My original stationary may not be great art, but it is hand made with a personal touch and in today’s world where personal touch is so rare I like to think my pen friends enjoy receiving my creations as much as I enjoy making them. 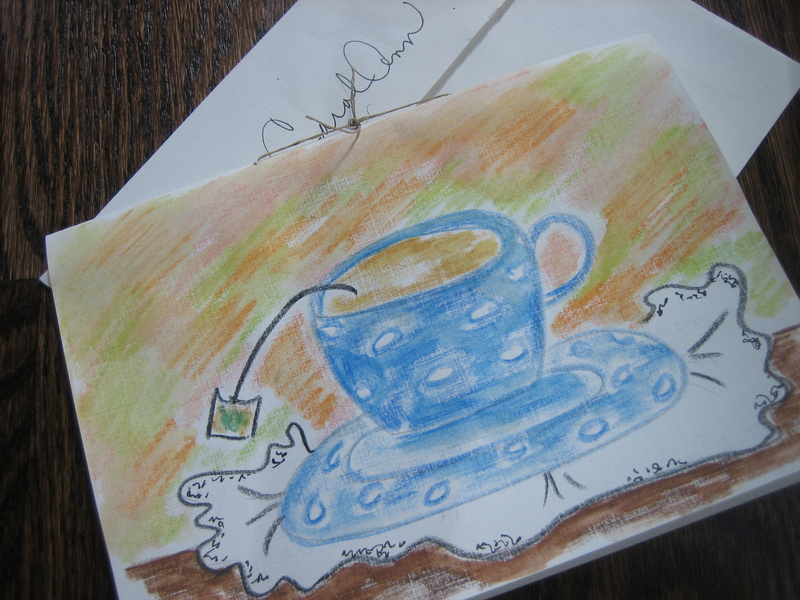 Once that note card or letter paper is designed I might begin writing the letter to my friend by inviting them to pause, sit down, rest a while, and share a little visit with me, yes, over a cup of tea. A dear friend of mine (you may know Him too) is forever telling me to have abundant life. He wants this not only for me, but for all His children. We would want abundant life for our children too, wouldn’t we? 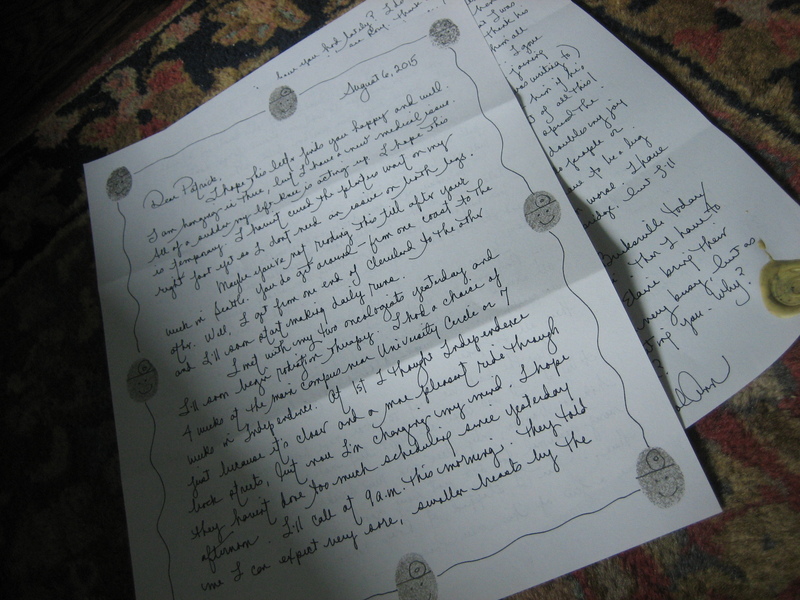 So, since I enjoy writing letters so much as well as creating my own stationery, I think my friend is pleased for me and thinks letter writing is a good and worthwhile activity because it brings me pleasure. But I think He is especially pleased because when one writes a letter the pleasure is not only for the writer. The letter is a gift of friendship to others. And my friend is all about love and friendship. Sometimes I like to wrap my letter up like the gift of love it really is. I’ll write the letter and then place it in a colored outer folder that I decorate in some way – perhaps with polka dots or cut-out designs. 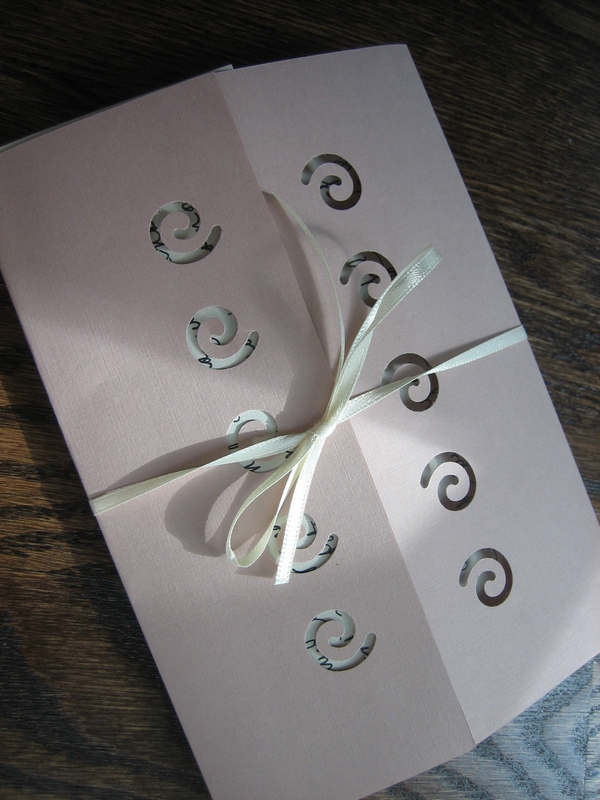 I tie a ribbon around my little package of friendship and put it in an envelope sending it off to my friend. You’ve perhaps heard the expression ‘gift of a letter’? Well then, why not wrap that letter up with a bow like you would wrap up any other present? Though letters offer an opportunity for art play they also offer wonderful intellectual exercise as we think, write, and share. But more than this letter writing can become a ministry as we show concern and love for others. I know this first hand for recently I was diagnosed with breast cancer. 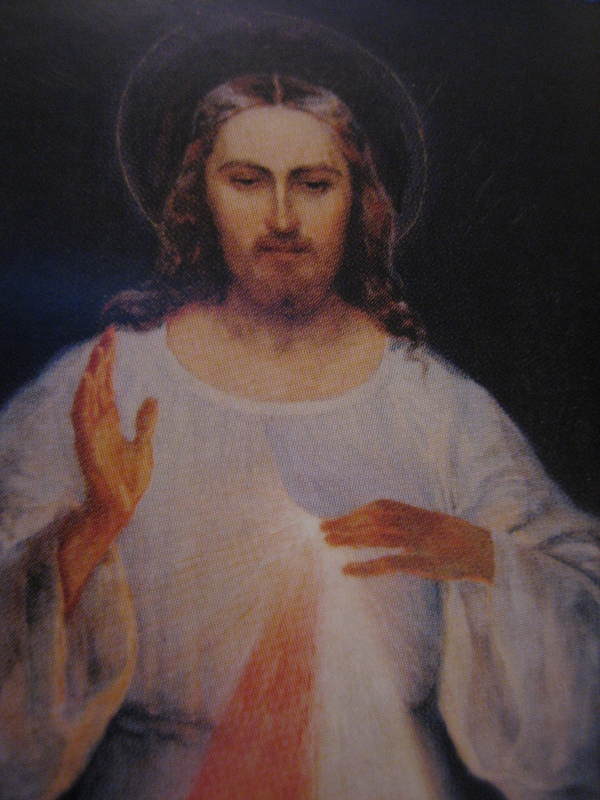 I received wonderful medical care, but I also received wonderful spiritual care by way of thoughtful friends and relatives sending me cards and dear letters of love and support. Sharing doubles the joy, but also divides the sorrow and it really helped me to share the story of my treatments and suffering with others who cared. 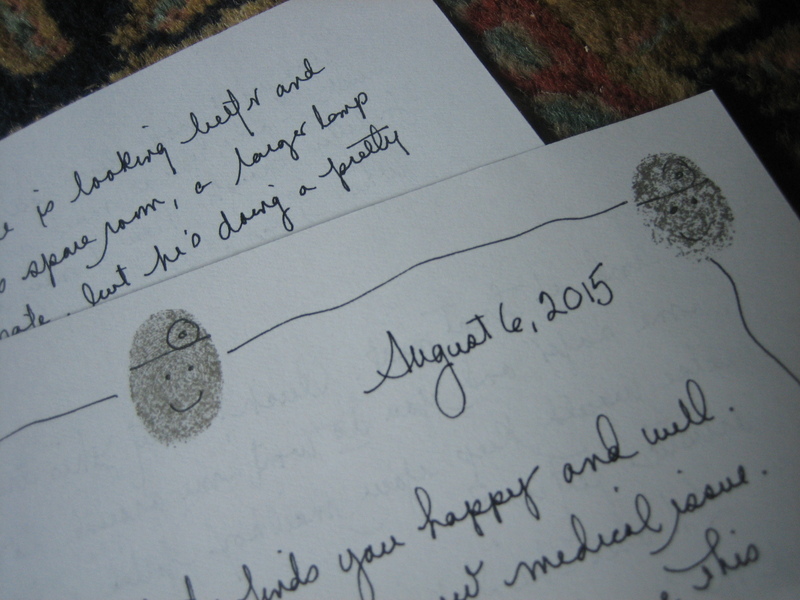 I decorated some of those letters filled with medical details by creating thumbprint designs of doctors around the margins of my paper. We all meet and know people who go through tough times now and then. 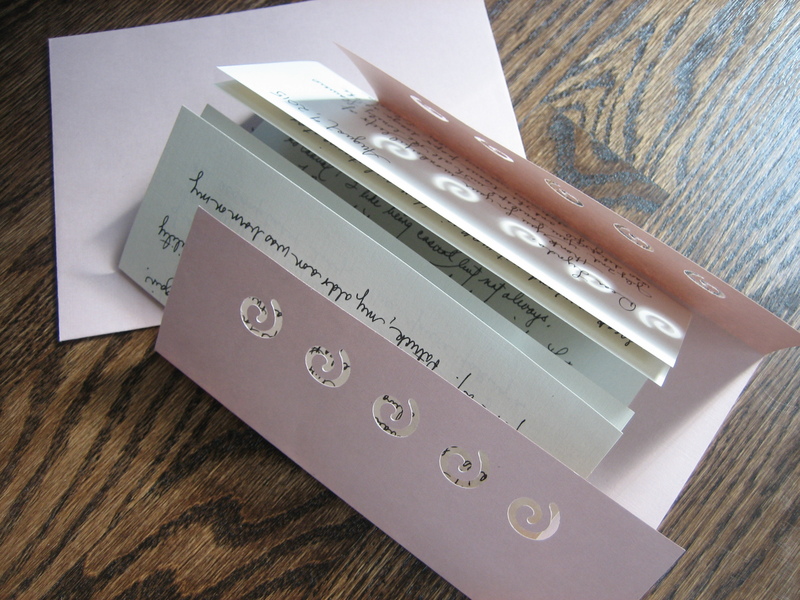 What a simple but beautiful thing to send a card or write a letter to those troubled folks letting them know we care. And what therapy it is for us to have people we can write to when we need to share what we’re going through. Our world is a beautiful place, but it can also be a dreary place at times. To say we care, we understand and to have others in our life who care about us – this is no small gift we give to each other. And even if people aren’t suffering they can still always use a good shot of joy. We share our joy and we’re possibly inspiring others to work harder at creating their own joys. We let them know we like them, appreciate them. This is a gift too and when we give good things come back to us – more letters and more friendship. It’s all about love. You can write to people you know, of course, but you can also write to people you don’t know – yet. 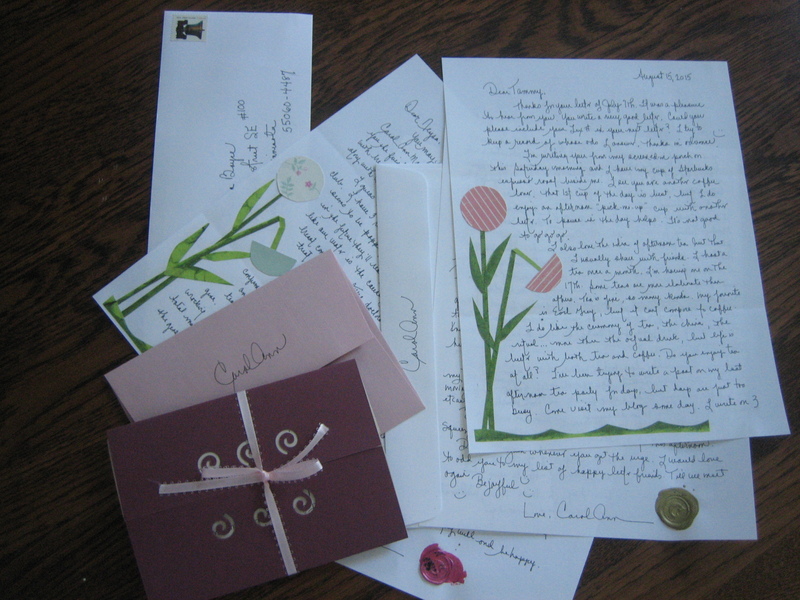 Join The Letter Exchange, an organization of letter writers from all around the world. 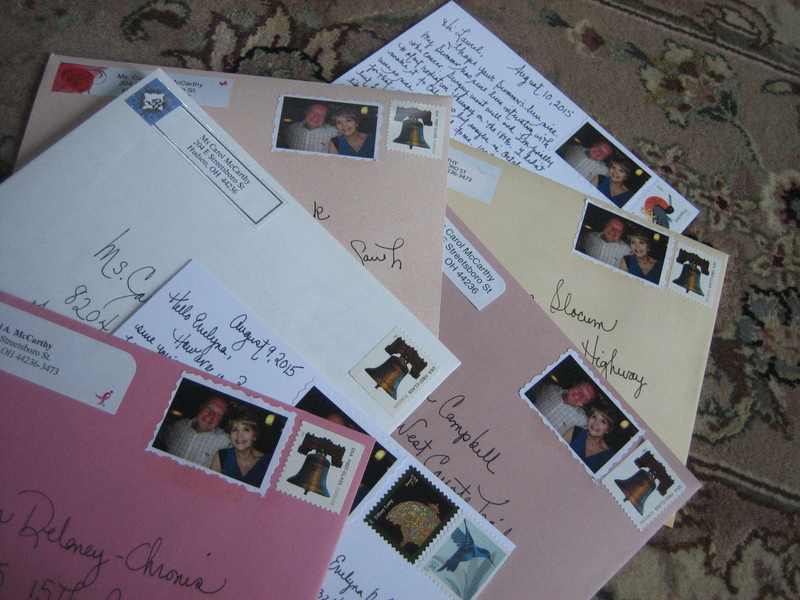 (www.letter-exchange.com) If you join this great group tell the editors Carol Ann sent you. Though I frequently talk to a son who lives far from home I also write him regularly just to send a little extra love his way. A person can never get too much love. 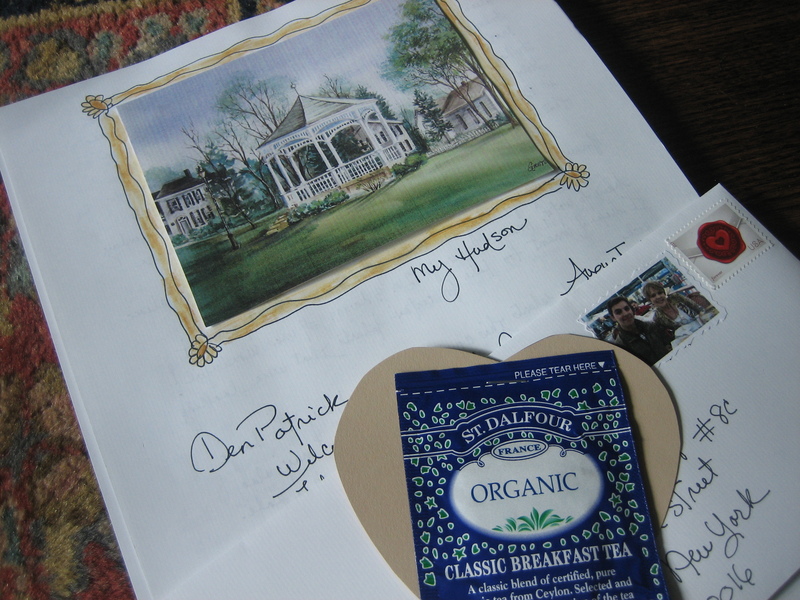 I’ll enclose a tea bag pinned to a heart in his letter and maybe include a picture or two. With family scattered all about these days every effort should be made to keep close. 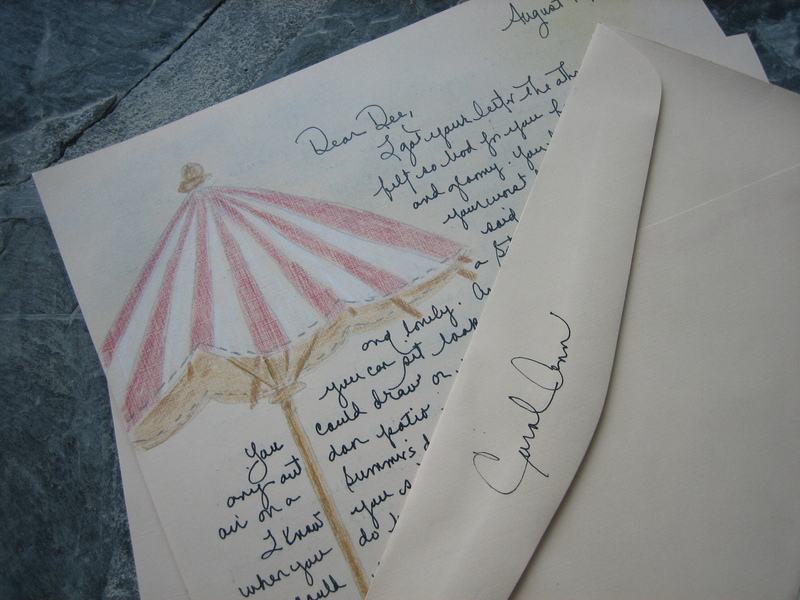 A personal letter is one great way to remind your loved ones they are cherished. And the letters you write are lasting reminders of your love. One day you may be gone, but your letters will still be around, a testimony of your love. So why write a letter? 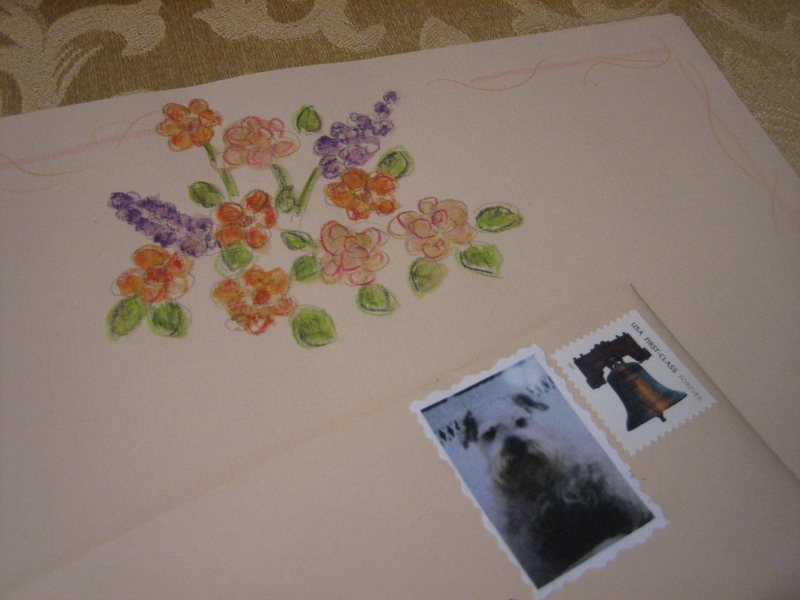 Write a letter because it’s a physical delight. It’s art play. It’s social fun. It’s intellectual sharing, but mostly write a letter because it’s an opportunity to spread a little love around the world. Write a letter to share your joys. 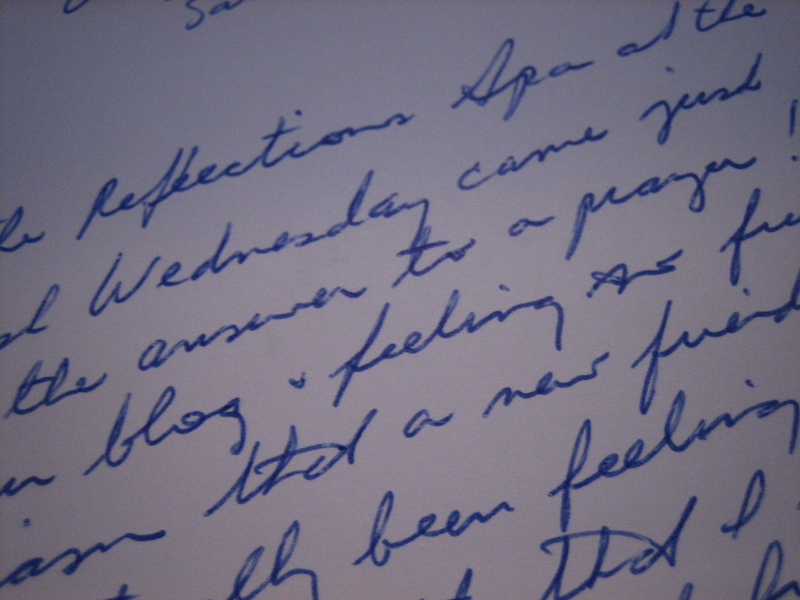 Write a letter to comfort others when they need that tender loving care. Write a letter to give a compliment or to say thank you. Write a letter to encourage someone or to tell them you were encouraged by them. It seems I had a positive effect on this nice lady and boy, did her letter have a positive effect on me. We can all be such blessings to each other if we try. We all go through life hoping we’re doing the right things. When we support and uplift each other we know we’re doing the right things. Writing a letter is one of those ways.